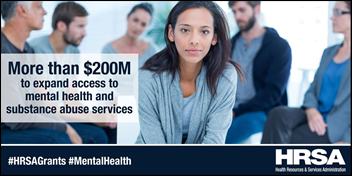 HRSA gives $200 million to 1,178 healthcare centers to help them expand mental health and substance abuse services. The agency has earmarked the funds for hiring and training staff, and leveraging health IT. HRSA Spokesman Martin Kramer says the health IT funding will go towards projects like adding behavioral health data to a center’s EHR, improving connections with PDMPs, building staff training modules, and adding telemedicine services. 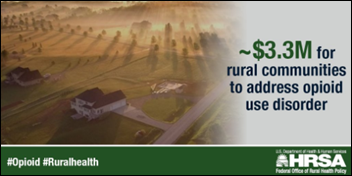 In addition, HRSA’s Substance Abuse Treatment Telehealth Network Grant Program will give $670,000 to three organizations for the expansion of substance abuse treatment services in rural areas. Another $2,500,000 from the Rural Health Opioid Program will be made available to 10 recipients for similar access-expansion initiatives. HIStalk sponsors, you’ve got about a week left to submit your MGMA details for inclusion in our annual must-see vendor’s guide. Companies that are walking the show floor instead of exhibiting are also welcome to submit their information. The online guide will publish a few days before the conference kicks off at the Anaheim Convention Center in California on October 8. Sean Cavanaugh (CMS) joins Aledade as chief administrative officer. Former Pandora CEO Brian McAndrews joins Teladoc’s Board of Directors. Summit Health Management takes Bend Medical Clinic (OR) under its wing in an effort to help the clinic keep its doors open while maintaining its independence. The clinic has faced an uncertain financial future since a switch from Allscripts to Epic two years ago drained its cash reserves, resulting in 100 layoffs. Practice Insight receives an undisclosed amount of venture funding from Yukon Partners. 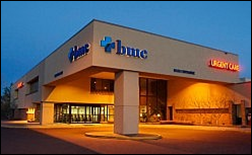 The Houston-based company provides RCM services and software to providers, payers, and resellers. 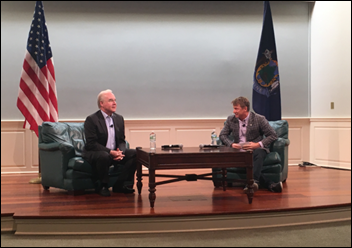 HHS Secretary Tom Price, MD puts in an appearance during the final leg of the Athenahealth MDP 2017 tour. Price assured the audience that Meaningful Use will evolve to help physicians provide the right care rather than inundate them with meaningless tasks. TelaCare adds access to optometrists, alternative and sports medicine providers, pharmacists, dentists, and dieticians to its primary care and behavioral health services for consumers. Telehealthcare will take on the HeadTrainer brand name after acquiring the athlete-focused technology and cognitive training business. HeadTrainer’s flagship app helps athletes of every skill level improve cognitive skills using sports-themed games and tips from high-performing athletes. Telehealthcare executive Bob Finigan will assume the role of HeadTrainer chairman and CEO from Derek Cahill, who has resigned. 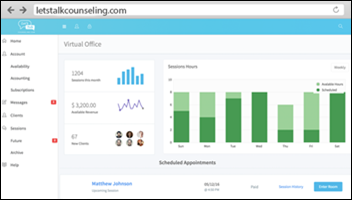 Let’s Talk Counseling offers its virtual counseling software free of charge to providers treating patients in areas affected by Hurricanes Harvey and Irma. The company is also looking for providers in Florida and Texas to join their disaster relief team. A HealthMine survey of 500 Medicare beneficiaries reveals a disconnect when it comes to telemedicine services that could be so beneficial to those looking to age in place or those residing in nursing homes: Nearly 60 percent of respondents are unsure if their plans offer telemedicine, and 31 percent are sure their plans don’t. When it comes to communication with their health plans, nearly half prefer to be contacted by phone, followed by digital methods, and snail mail. It looks like prompting seniors to use telemedicine may need to first involve an old-fashioned phone conversation. 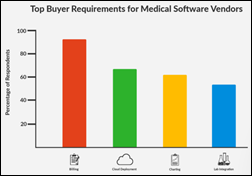 Physicians looking to purchase new EHR and PM software cite their current systems’ lack of features, inefficiency, and lack of automation as top reasons for wanting to make a switch. 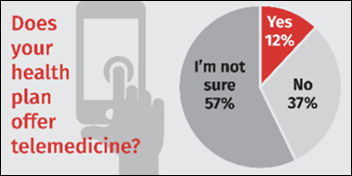 Surprisingly, 23 percent of respondents were considering their first EHR/PM purchase. The most sought-after features include billing, charting, and lab integration. Naturally, time and budget are the top barriers to following through with purchasing decisions. University of Michigan researchers find that implementing EHR-based screening prompts at primary care clinics increased screening rates for the hepatitis C virus in adults between 51 and 69 from 7.6 percent to 72 percent, and helped facilitate referrals for specialty care for all newly diagnosed patients.